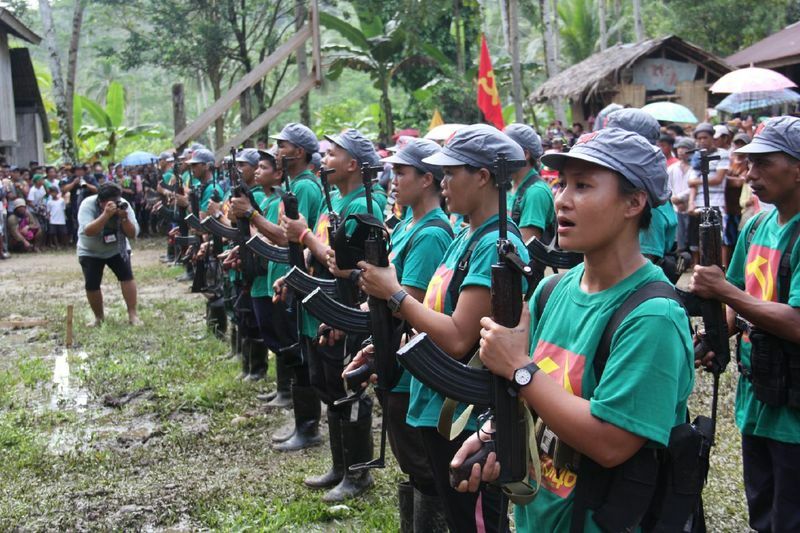 About 326 members of the terror-tagged New People’s Army (NPA) have voluntarily laid down their arms and surrendered to government troops last month, the military has said. In a message Saturday, Armed Forces of the Philippines (AFP) public affairs office chief Lt. Col. Emmanuel Garcia said military records revealed that 310 NPA rebels surrendered in various parts of the country from Jan. 1 to 29, while the remaining 16 voluntarily gave themselves up from Jan. 30 to 31. “The number of surrenders is attributed to the call of President and AFP Commander-in-Chief Rodrigo Duterte on the rebels, as well as the hardship and sense of betrayal experienced by the returnees in staying with the NPA,” Garcia said. One of the notable surrenderers was Gemma Quiroga of Davao Oriental, 35, who surrendered to the Army’s 28th Infantry Battalion last January 27. Garcia said Quiroga was a squad medic of communist rebels operating in Davao Oriental and was also designated as ANAKPAWIS chair, a known leftist organization, in Mati City. “The AFP leadership congratulates its various units on the ground for the effective use of military pressure against the NPAs, as well as in their humane treatment of the former rebels,” he added. Garcia expressed hope that the recent surrenders would encourage other rebels to lay down their arms, abandon violent extremism, and “embrace” the path to peace. The NPA is the armed wing of the Communist Party of the Philippines. The Philippine Army estimates its strength at 3,200 fighters at the end of 2015. Peace talks to end what is the longest-running communist insurgency in Asia began in 2011. However, relations with the government soured last year. President Duterte has now officially designated the group as a terrorist organisation. The US and European Union both had designated the NPA as a terrorist organisation prior to the president’s announcement.